Actually, I took out two words and replaced them with "meme generator" and "raydog". 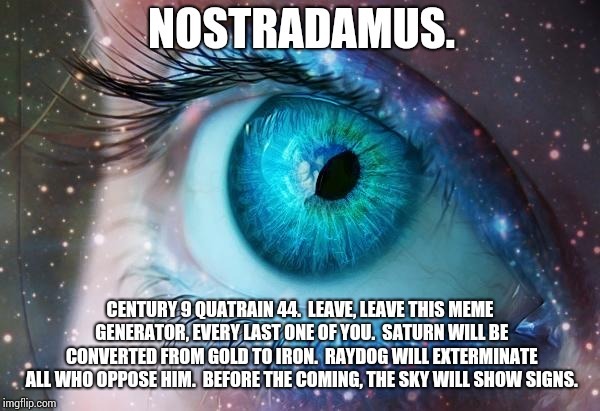 NOSTRADAMUS. CENTURY 9 QUATRAIN 44. LEAVE, LEAVE THIS MEME GENERATOR, EVERY LAST ONE OF YOU. 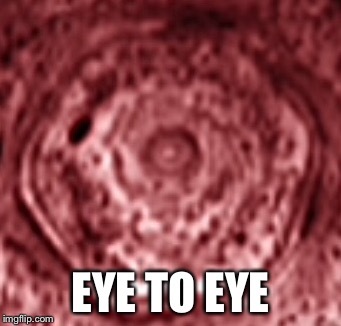 SATURN WILL BE CONVERTED FROM GOLD TO IRON. RAYDOG WILL EXTERMINATE ALL WHO OPPOSE HIM. BEFORE THE COMING, THE SKY WILL SHOW SIGNS.